A superbly located 160-acre farm block on the outskirts of Mosgiel and just 20 minutes over the hill from Dunedin. This property is privately located down a long driveway set off the main road, where you will be greeted with a schist stone built cottage originally built in 1861, positioned to take full advantage of the views of Taieri. 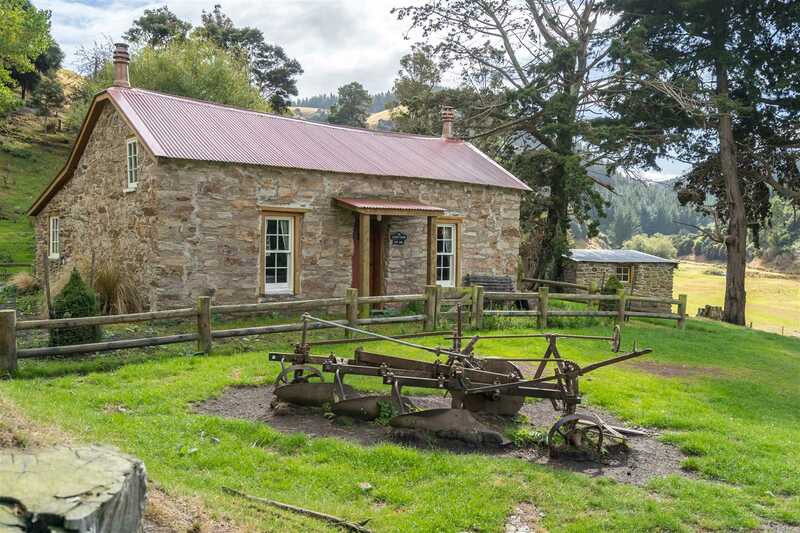 The cottage known as Glen Lyon has been restored with no cost spared and has its own generator power, septic tank, electric and coal range for heating, 2 gas fires and built with solid macrocarpa trees, felled from the property. The property is fully fenced and has water pumped from the creek; 14 paddocks plus a large wool shed. Currently used as a sheep farm but plenty of opportunity for the next owner. Viewing by appointment only. Call Graeme or Warren today.